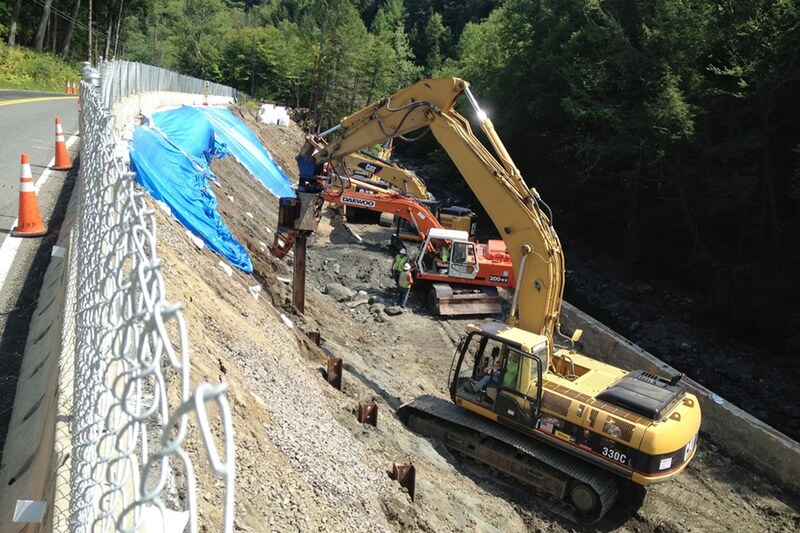 Route 116/South River Retaining Wall Replacement - J.H. 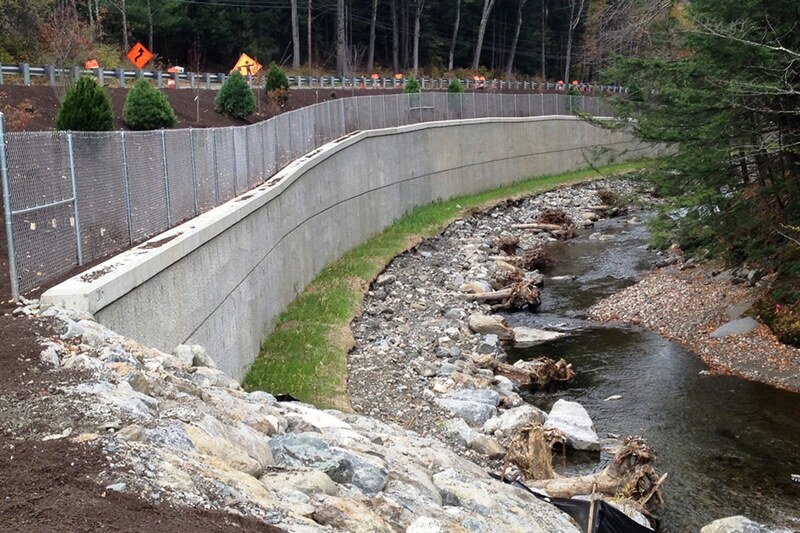 Maxymillian, Inc.
Maxymillian replaced a failing retaining wall along Route 116 and the South River in Conway, MA. 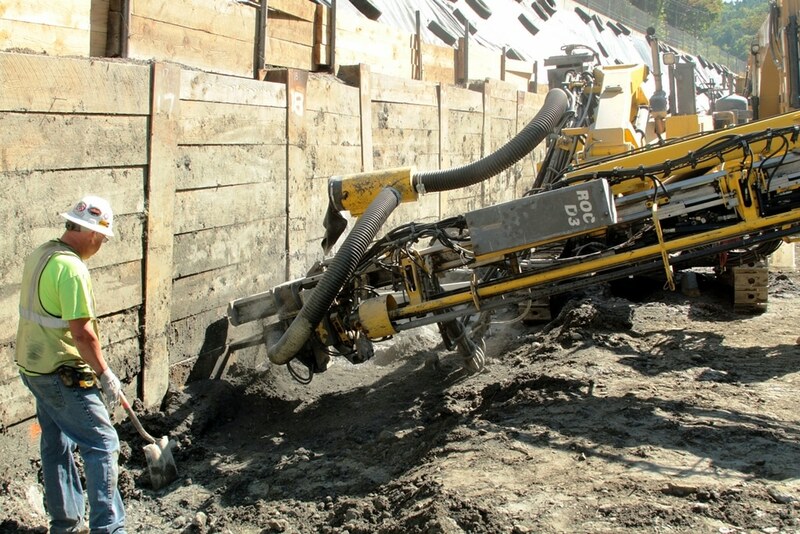 The project scope included replacing the existing retaining wall with a longer wall, widening the river channel by constructing a new wall behind the existing wall, and installing boulder deflectors and sediment trapping log structures along the channel bed in front of the wall. 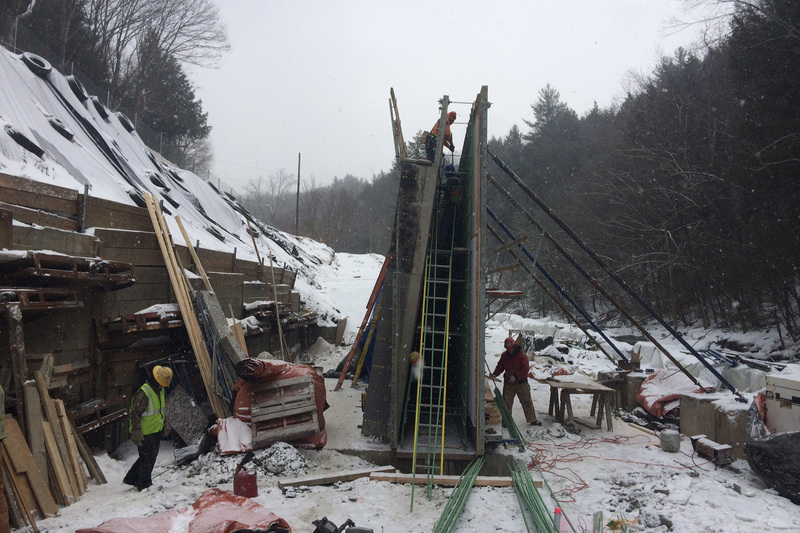 Site restoration work included pavement milling and overlay, minor drainage improvements, and re-setting the existing guardrail.